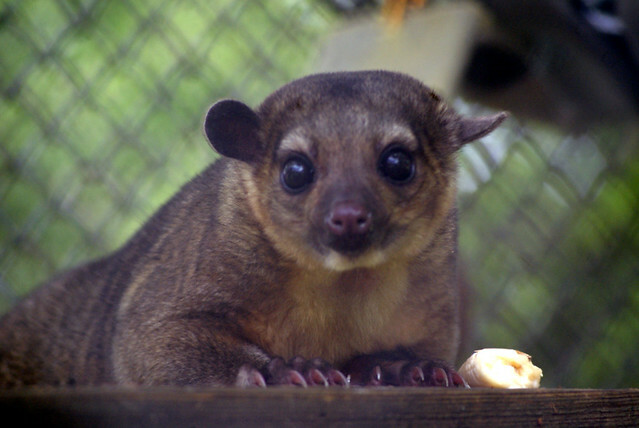 It’s time to winter-ize the kinkajous! 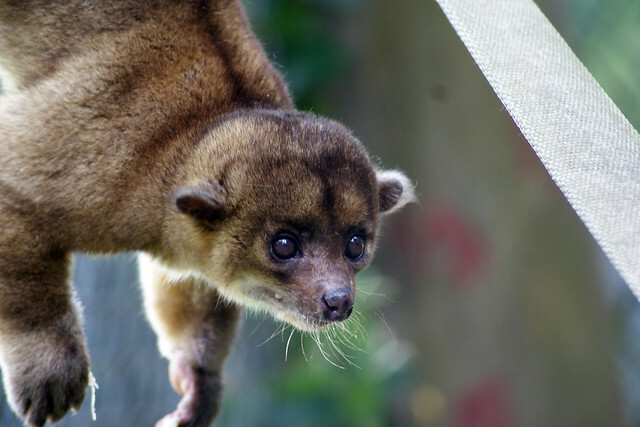 The three Carolina Tiger Rescue kinkajous – Albert, Lola and Wednesday – are now indoors for the winter. The keepers moved them into the vet center on Oct. 16. These small animals are not comfortable in temperatures below 50 degrees. Because they are nocturnal, they’re awake during the coldest part of the night. While they’re sleep during the day, their metabolism drops. Even in mild temperatures, they could wake up shivering cold. The kinkajous moved indoors on Oct. 16 and will not be back outside until it warms up in the spring. Albert and Wednesday lived off Cherry Lane on the tour path, and Lola lived away from the path in Mimosa Point. Albert, 25, was born at Carolina Tiger as part of the former breeding program. Wednesday, 29, was formerly a pet. She was declawed and has arthritis as a result. Wednesday is also the sanctuary’s oldest animal. Lola, the youngest Carolina Tiger kinkajou at 9, was rescued from a woman’s backyard in High Point. Albert and Wednesday are enclosed beside one another indoors, and Lola is in a separate room next to her friends. Keepers and animal care volunteers will provide the kinkajous with additional blankets and heaters as needed. 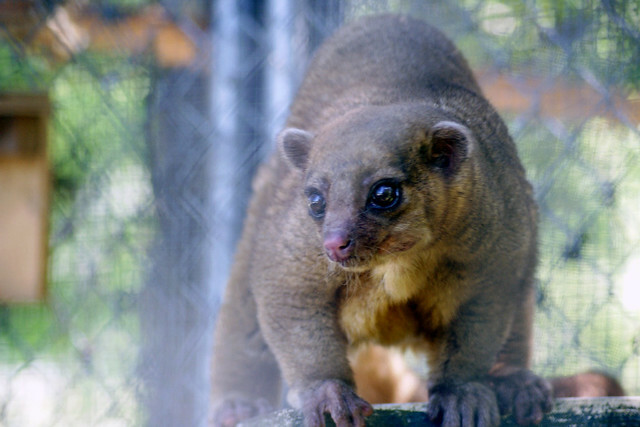 The kinkajous are the only residents at Carolina Tiger who need to be inside for the winter. All others will get straw in their den boxes, and some — including small cats and the elderly animals — will get heating pads.